Panda bears are now endangered . They live in central China . 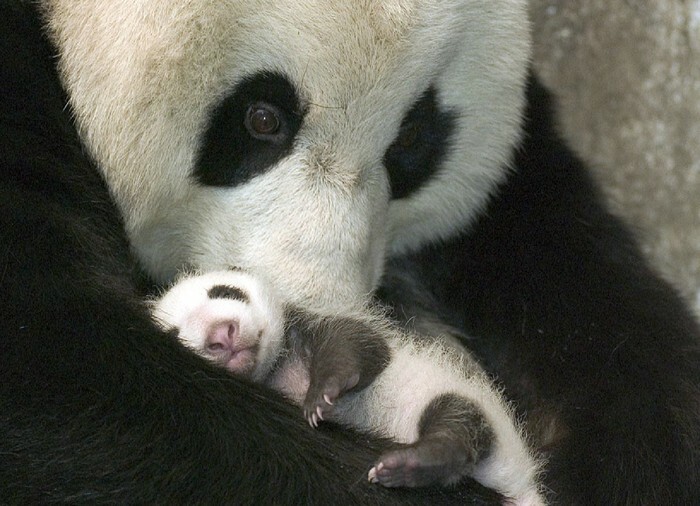 Pandas feed mainly from plants ( bamboo ) , but also eggs , insects and more . 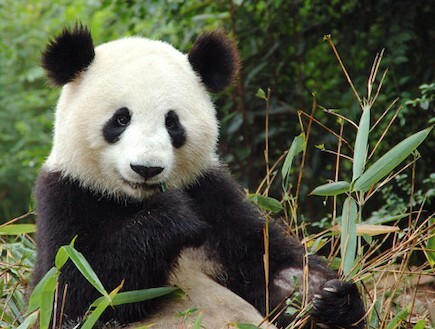 Panda length is 1.5 meters to 1.8 meters , weighing 75-165 kilograms. The Panda's legs are black , her body is black and white with a white head and black ears except black rimmed eyes similar to glasses . In nature, the average life span is 15 years, while in captivity they live an average of 22 years . In recent decades the panda became the national symbol of China .